We are delighted to announce the publication of our latest issue of ‘Irish Genealogy Matters’, in which we keep our readers abreast of all of the latest developments in the Irish Family History Foundation, new records online, and much more! Click on the image above to read the newsletter in full. We hope you enjoy! Get a 12-month subscription for RootsIreland with 25% off from 8 March to 31 March 2019! To obtain this offer just go to the following link and login using your existing RootsIreland login details: http://www.rootsireland.ie. If you currently have a subscription, click My Account, My Subscription and Start a New Subscription. 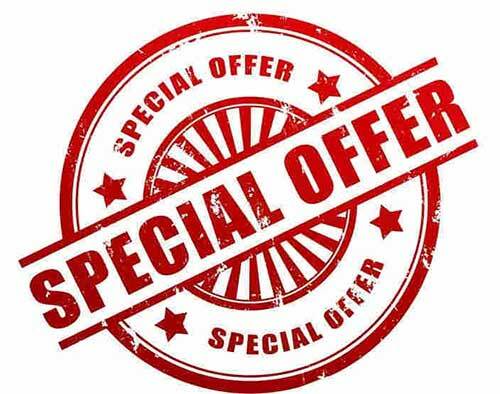 The special deal subscription will then begin once your current subscription runs out. Why take out a subscription with RootsIreland? RootsIreland have the most complete and most accurate set of Roman Catholic church records online. Our index is easily searchable and has features such as standardised surname and forename searches which make your searches even more user-friendly. We hold over 23 million records which is being added to continually. 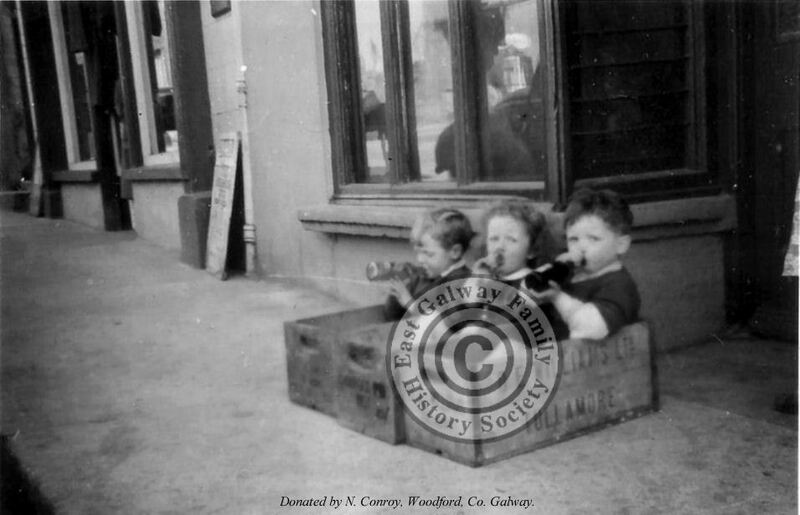 In 2018, we added to our database almost 200,000 records from Counties Tipperary, Clare, Wexford, Offaly, Laois, Waterford, Limerick, Sligo, East Galway and Westmeath. So far in 2019, we have added over 40,000 new records from Laois, Offaly, East Galway and Waterford. Together, our 34 genealogy centres have an unparalleled amount of local knowledge which can be invaluable to those tracing their ancestors, a service which no other website or company can provide to such a high standard. By taking out a subscription with RootsIreland, you are helping these centres to continue to provide a world-class service and securing many Irish jobs. If you have any questions please check our Help section and if this does not provide an answer, then you may contact us or one of the county centres. You can check what is available on our site for each county here. *Offer applies from 8 March 2018 to 12 midnight Irish time on 31 March 2019 only. Cannot be used in conjunction with any other offer. Armagh Ancestry in conjunction with Armagh City, Banbridge and Craigavon Borough Council are hosting their inaugural Genealogy Conference on Friday 17th, Saturday 18th and Sunday 19th May 2019 at the Navan Centre & Fort, 81 Killylea Road, Armagh, BT60 4LD. The Conference will open on the Friday evening with a Mayoral Welcome and reception. The underlying theme for our Conference is ‘Emigration – voluntary or forced’ and Brian Mitchell’s lecture ‘Emigration Records and their usefulness when searching for your Ancestors’ is a case study for port of Derry and demonstrates the types of records that can be examined to identify an ancestor’s departure from Ireland. These include newspapers, government papers, business records, and passenger departure lists. Tom Quinlan of the National Archives of Ireland examines ‘Sources in the National Archives of Ireland for Researching a Convict Ancestor’ and his lecture will outline the archival sources of information available for researching a convict ancestor. It will set the archives in context by explaining their administrative origin, their scope and content, and it will discuss how they can be interpreted and used. 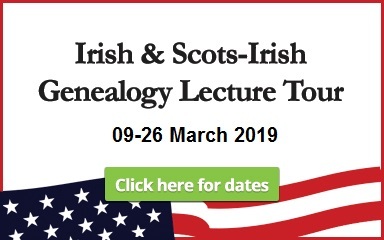 Both these talks will be of immense interest to the Irish diaspora and also of benefit to the people who remained in Ireland as they will detail sources which may contain information which will assist further genealogical or historical research. Dr William Roulston will deliver a lecture on ‘Researching eighteenth-century ancestors in Ulster’ and the aim of this talk is to highlight some of the available genealogical records of the 1700s. These include surviving church records, including the often overlooked administrative records relating to the different religious denominations in Ulster, and records relating to the occupation of land, such as estate papers. A number of lesser-known sources will also be highlighted. Some of these sources can be available for the other Irish provinces and this talk will appeal to those with Scotch-Irish heritage. ‘Tracing Your Armagh/Irish Ancestors’ and this talk whilst specific to county Armagh sources, will be of interest to all family historians as similar sources are replicated throughout other Irish counties and many of the dates for records are for the same time periods. ‘Church, Civil and Census Records’, this talk deals with the availability (or lack) of Church registers for the various denominations and also with civil (government) birth, marriage and death records and how to access them. It also deals with the availability of Census records. ‘1922 Fire in the Four Courts – Was everything destroyed?’ A look at some of the records which were destroyed and examining the many other sources still available for research. ‘History from Headstones’ Graveyards are a unique genealogical source and tell the history of the local area. Headstones can tell the tale of emigration, famine, disease, strife and politics in the area. They can also provide a humorous insight in to certain events. Following this end of Conference talk a walking visit to a local graveyard will take place and attendees can experience some of the local headstones which hold genealogical or historical information. Dr Brendan Scott of the Irish Family History Foundation will deliver a talk on ‘Using the ‘RootsIreland.ie’ database – a unique national asset’ and this talk will explain the background of the RootsIreland website, introduce the site’s content and features and will discuss how best to use this extremely important research tool. 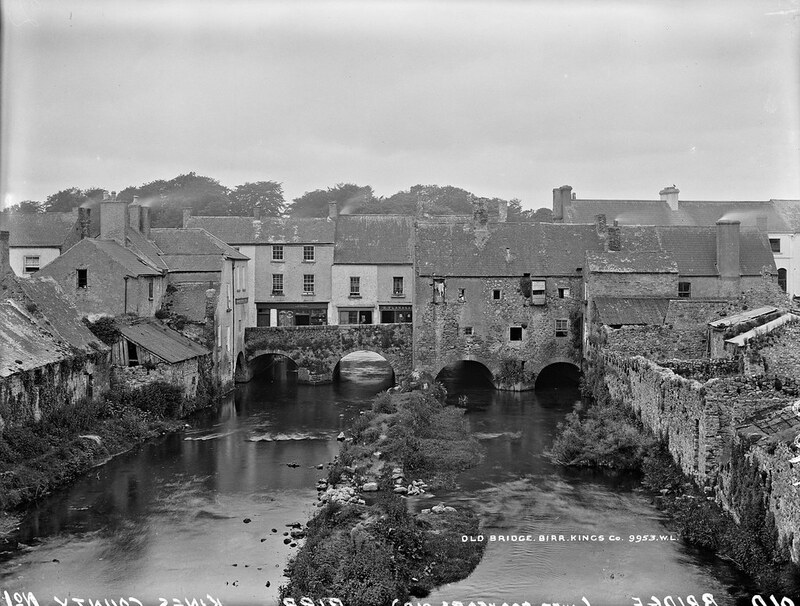 Sean Barden and Jason Diamond talk ‘Genealogy Sources in Armagh County Museum and Banbridge Genealogy’will outline the various unique sources held in their repositories. Many local repositories hold unique sources which are of interest to the family historian and these need to be explored to complete any family history story. There will be a limited amount of FREE individual Consultations (pre-booked) available throughout Saturday & Sunday for attendees. The cost of the Conference is £20 GBP per day or £30 GBP for both days (Friday is FREE) and the fee includes tea/coffee during breaks. A special Lunch menu is available each day for only £5 GBP however this must be pre-booked. For further information contact Armagh Ancestry at researcher@armaghbanbridgecraigavon.gov.uk or by telephone 00 44 2837529644. Subscribers Parsonstown Poor Relief Fund, 1855. 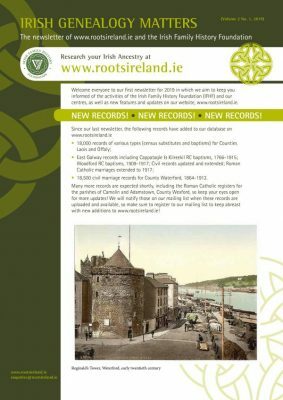 For a full list of sources for Laois and Offaly, and to search these records, go to www.laois.rootsireland.ie and www.offaly.rootsireland.ie. 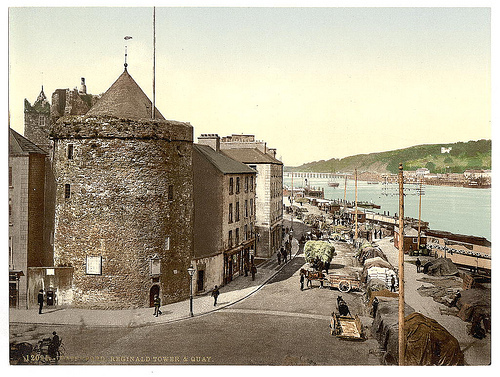 We are pleased to announce that Waterford Heritage have added over 18,500 civil marriage records covering County Waterford for the years 1864-1912. These can be accessed on their database at www.waterford.rootsireland.ie.